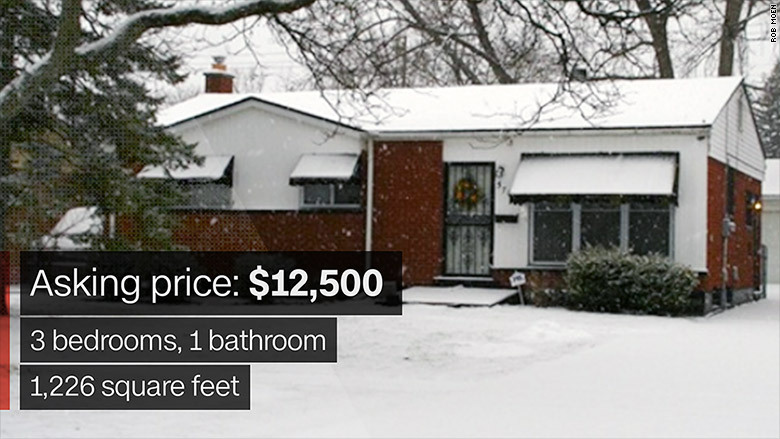 The hits keep coming for Flint's housing market. The Michigan city that sits roughly 60 miles north of Detroit is currently under a state of emergency after it was discovered that residents were exposed to unsafe levels of lead from the city's water system. And the fallout is starting to hurt its already-bruised real estate market. The 2008 housing crash that sent the nation's economy into a tailspin hit Flint particularly hard. "They lost about 75% of real estate [value] in the city of Flint," said Rob Moen, an associate broker at Berkshire Hathaway HomeServices. 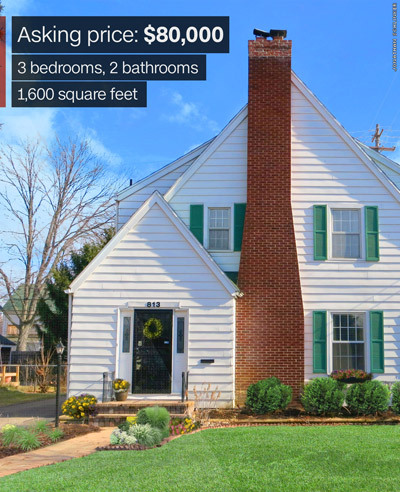 "Homes today are selling for maybe 50% of what they were selling for in 2005." Flint hasn't experienced a price rebound like other markets have in the past few years, and many residents remain underwater. "Anyone that bought their home in the early 2000s in Flint with a mortgage is still upside down on their house and they aren't able to move because they can't sell it," said Moen. 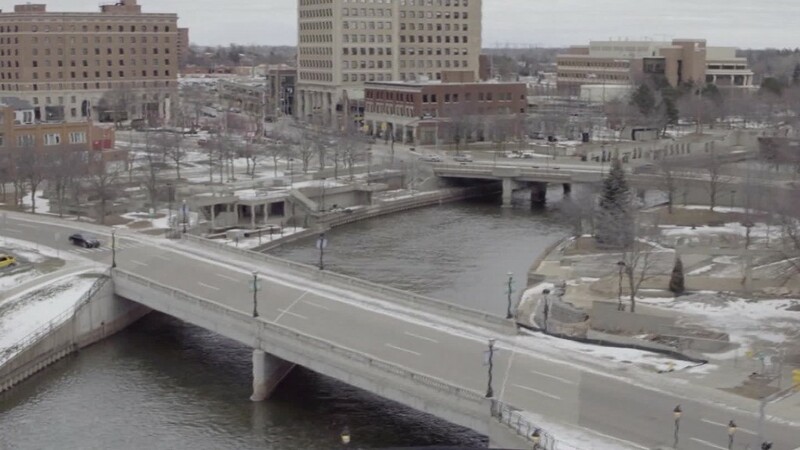 In the past couple of years, Flint's housing market was just starting to get back on its feet, but the water crisis has been a "momentum killer," said Chris Theodoroff, a real estate agent and president of the East Central Association of Realtors. The median home price in Flint is $14,000, according to the ECAR. And it's clear that the water problems have become a concern since well water is now on many buyers' wish lists, Moen said. "All of a sudden, we started getting people asking for houses with well water, they didn't want city water." Real estate agent Jonathan Schlinker said Fannie Mae recently rejected an all-cash offer from his client on a foreclosure the agency owned because of the water crisis. "My buyer is aware of the water issue, and is still willing to purchase with cash," said Schlinker. "Now it's sitting there empty and can't be sold at all." Theodoroff recently had a buyer walk away after making an offer, citing the water crisis, though he suspects the real culprit was the amount of renovation needed. Another problem is that many lenders now require tests that prove a property's water is safe before issuing a loan. But sales in Flint haven't stopped completely. In the first two months of this year, 116 homes were sold in the city. The cheapest sold at $1, while the most expensive came in at $249,000. Moen listed a home this week for $12,500 and has already received two all-cash offers above the asking price. The offers came from a single mom with kids and a city employee looking for a shorter commute. And while Moen said the home's water tested fine, the owner told him she wasn't using it and that it gave her rashes. "She has about 40 cases of water stacked up." Buyers in Flint right now tend to be young couples, investors and renters looking to take advantage of depressed prices and low interest rates. Rent in the city for a single-family home is about $400-$500 a month, according to local real estate agent Bonnie Kehoe. "It's a good time to buy," she said. "You can buy a house and the payment is less than if you were to rent a house." But renters are also more likely to leave the city since they aren't tied to mortgage. Flint has the highest vacancy rate in the country, with 1 in 14 homes vacant. The problem is even worse in some areas in the city's center where 1 in 5 homes sit empty. But despite the high number of vacant properties, the supply of homes on the market is still very limited. "There are a lot of abandoned homes," said Kehoe. "They haven't been taken care and no one is ever going to buy them."